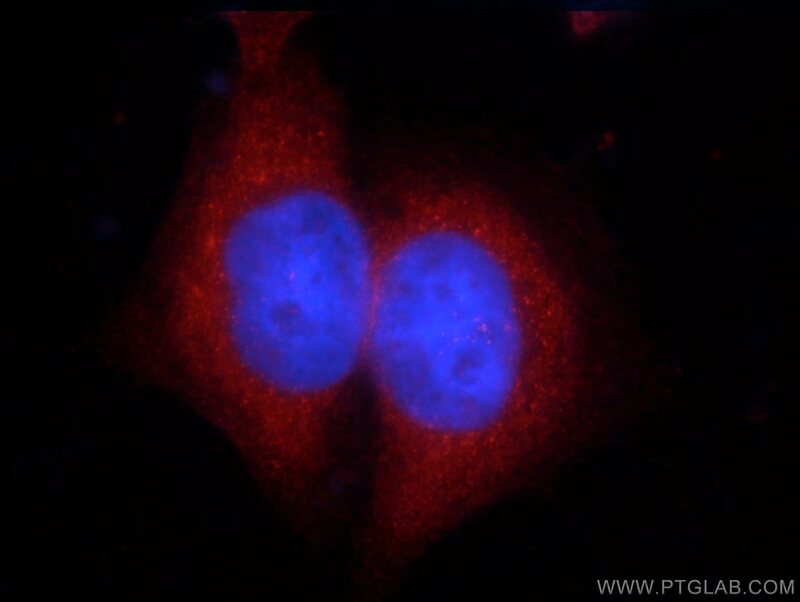 IP Result of anti-ZCCHC11 (IP:18980-1-AP, 5ug; Detection:18980-1-AP 1:1000) with MCF-7 cells lysate 2000ug. ZCCHC11, also named as KIAA0191 and TUT4, is an uridylyltransferase that acts as a suppressor of microRNA (miRNA) biogenesis by specifically mediating the terminal uridylation of some miRNAs. ZCCHC11 catalyzes the 3' uridylation of precursor let-7 (pre-let-7), a miRNA precursor. Uridylated pre-let-7 miRNAs fail to be processed by Dicer and undergo degradation. Degradation of pre-let-7 contributes to the maintenance of embryonic stem (ES) cells and is required for ES cells to maintain pluripotency. ZCCHC11 can’t bind RNA by itself, recruited to pre-let-7 miRNAs via its interaction with LIN28 and LIN28B. Also catalyzes the 3' uridylation of miR-26A, a miRNA that represses IL6 transcript, leading to abrogate IL6 transcript repression and promote cytokine expression. 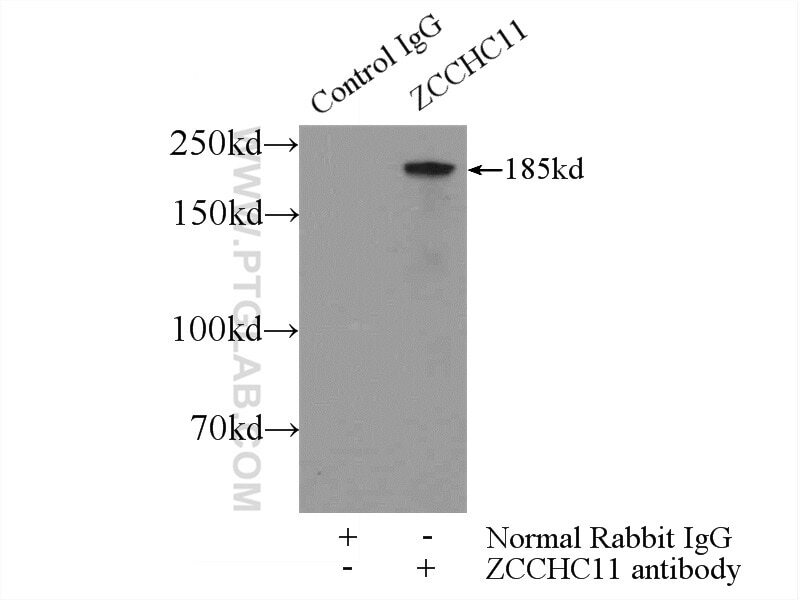 ZCCHC11 may also suppress Toll-like receptor-induced NF-kappa-B activity via binding to T2BP.This antibody is specifical to the 185 kd ZCCHCC11 protein. Lin28A and Lin28B inhibit let-7 microRNA biogenesis by distinct mechanisms. Selective microRNA uridylation by Zcchc6 (TUT7) and Zcchc11 (TUT4). MiRAR-miRNA Activity Reporter for Living Cells. A programmed wave of uridylation-primed mRNA degradation is essential for meiotic progression and mammalian spermatogenesis.